Throughout my four years as a full time graphic designer at the Iowa Events Center, I was asked to help brand four different permanent concession stands in Wells Fargo Arena. Moovers and Shakers is one of them. 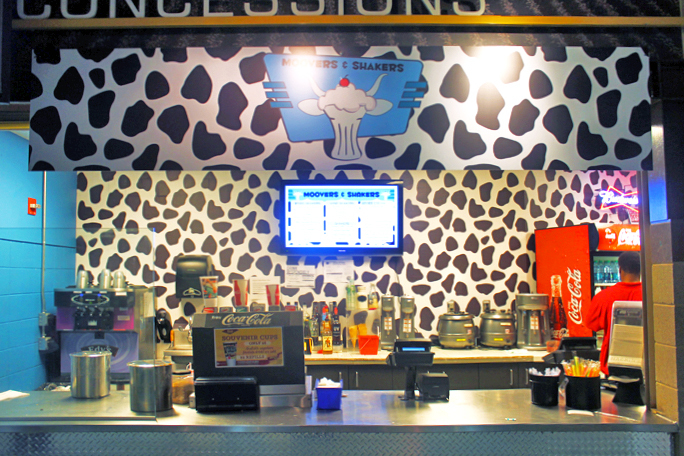 The stand sells gourmet burgers and specialty shakes. for the wallpaper, the sign at the top of the stand and a digital menu template for the plasmas.